string(4) "USET" Flower delivery to Russia - RU-Flowers.com! Would you like to send flowers to Russia? You are welcome to use RU-Flowers.com services! 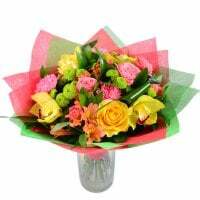 Whether you want to impress your precious ones with a bouquet of the freshest flowers or you want to congratulate someone abroad, choose our service. If you still have some doubts, look below to know more about our 5 main advantages. 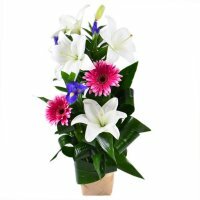 If you work and don't have enough free time, visit our website Ru- Flowers.com, where you can your order a bouquet at any suitable time. Our team works special to provide consultations, answers on questions by phone, via e-mail or in the online chat seven days per week. If you have already decided to buy a floral arrangement on our website, note that it's very easy to order from our store. Just put your information in the form or call our office to discuss each detail with the Ru-Flowers.com manager. Browse our collection, where more than two thousands of wonderful flowers, bouquets and arrangements are represented. We collected only the freshest local and imported blooms, which will impress everybody by their fragrant aroma and brilliant look. More than blooms, you can also find an extensive range of unusual gifts on RU-Flowers.com. These gifts are constantly available for online orders. While our main specialization is flowers, do not hesitate to choose souvenirs, which will delight your loved ones at the same level. 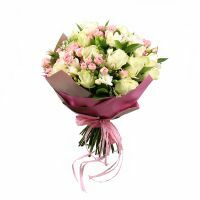 On the website, RU-Flowers.com exists a possibility to buy presents at the best price. Whether you need a simple gift or a brilliant arrangement, it's possible to choose a type of bouquet from budget, standard, business to VIP. Our service is transparent and affordable. 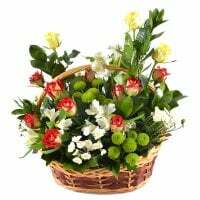 After the moment when your order is complitted, you will get the final price of your basket with delivery. There're no hidden pitfalls or charges. Moreover, we provide several opportunities for our customers to make them enjoy discounts when ordering flowers with delivery in Russia. 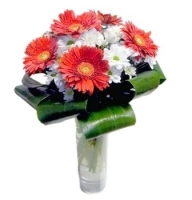 Whether you are our constant customer or you wish to impress your relatives for the first time, visit RU-Flowers.com. Special for our clients, we set a system of discounts, sales, and special offers that is available all the year. 5. Payment and follow your order status - we will take care of the rest! 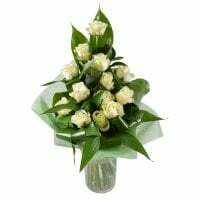 Welcome to RU-Flowers.com – order flowers - enjoy our services – delight your loved ones every! was delivered very quickly, actually a day before I thought it would be, everything was very good. Thank You..